An embankment refers to a volume of earthen material that is placed and compacted for the purpose of raising the grade of a roadway (or railway) above the level of the existing surrounding ground surface. A fill refers to a volume of earthen material that is placed and compacted for the purpose of filling in a hole or depression. Embankments or fills are constructed of materials that usually consist of soil, but may also include aggregate, rock, or crushed paving material. Normally, the coarser fill materials are placed at or near the bottom or base of the embankment in order to provide a firm foundation for the embankment and also to facilitate drainage and prevent saturation. The top portion of an embankment usually is constructed of relatively high-quality, well-compacted subgrade material that is capable of supporting the overlying pavement layers and imposed wheel loadings without deflection or undesirable movement. The fill material used throughout the remainder of the embankment must be capable of meeting applicable specification quality requirements and be capable of being placed and compacted at or close to its maximum achievable density. 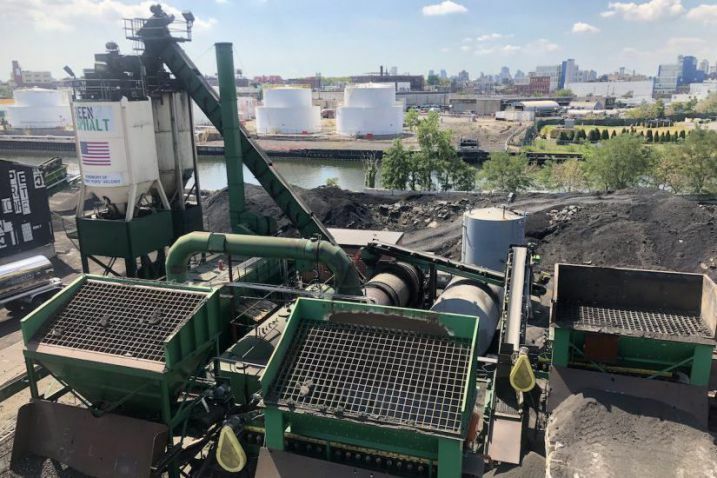 The material is spread in relatively thin layers of 150 mm (6 in) to 200 mm (8 in) and each layer is compacted by rolling over it with heavy compaction equipment. Many different types of soils may be suitable for use in the construction of an embankment or fill, ranging from granular soils (sand and gravel), which are highly desirable, to the more finely sized soils (silt and clay), which are usually somewhat less desirable. Certain types of soils (such as saturated clays and highly organic soils) are considered unsuitable for use as materials in embankment or fill construction. Regardless of the type(s) of soil(s) used to construct embankments or fills, the material should be well graded, capable of being well compacted, be within a proper range of moisture to optimize compaction, and be free of unsuitable or deleterious materials, such as tree roots, branches, stumps, sludge, metal, or trash. Some oversize materials (over 100 mm (4 in) in size), such as rocks, large stones, reclaimed paving materials, or air-cooled slags, can be used for the construction of embankment bases. Although the use of oversize materials can result in a stable embankment base, the oversize materials should have strong particles that do not readily break down under the action of construction machinery, but which have a range of sizes so that void spaces are at least partially filled. Gradation - well-graded fill materials that consist of two or more soil types, usually a mixture of granular and fine-grained soils, are most suitable for embankment construction. Because of the wide variety of soils that may be encountered, there is no universally recommended range of gradation for fill materials, although the maximum particle size should be less than 100 mm (4 in) so that it can be readily placed within a 200 mm (8 in) layer. Rock, or other oversize materials to be used as an embankment base, should consist of different size particles, with a specified maximum particle size. Unit Weight and Specific Gravity - fill materials can vary in unit weight over a fairly wide range, depending on the type of material and its moisture content. Fill materials that are relatively low in unit weight offer the advantage of transmitting less dead load to the underlying soil that supports an embankment. There are usually no specified requirements for a minimum or maximum unit weight, either before or after compaction. Moisture-Density Characteristics - the compaction characteristics (optimum moisture content and maximum dry density) of a soil fill material are the most important single property that affects embankment performance. Most specifications for embankment construction require the compacted fill material to have an in-place density that is within a certain percentage (usually 95 percent or greater) of the maximum dry density at a moisture content that is within a certain percentage (usually 3 percent or less) of optimum. The optimum moisture and maximum dry density of fill material(s) are determined in advance in the laboratory by means of either standard or modified moisture-density compaction tests. These tests methods are applicable for soils or earthen fill materials. Moisture-density characteristics cannot usually be determined for oversize (over 100 mm (4 in) materials) materials. Shear Strength - the shear strength characteristics (cohesion and/or internal friction) are indicative of the ability of a fill material to support loads that are imposed upon it under given drainage conditions. Shear strength characteristics are not always specified for earthen fill materials, but are determined by triaxial compression or direct shear testing and are used to compute the slope stability of an embankment. Compressibility - compressibility refers to the consolidation or settlement characteristics of a material under long-term loading conditions. The compressibility of a fill material is related to its shear strength, degree of compaction, void ratio, permeability, and degree of saturation. 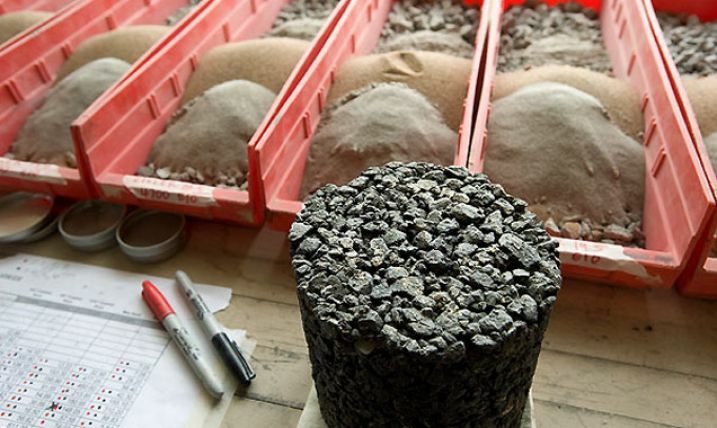 The settlement characteristics of an earthen fill material are determined by one-dimensional consolidation testing. Some settlement of an embankment or fill will occur during its construction, while the remainder of the settlement (if any) will occur in the postconstruction period. Bearing Capacity - bearing capacity refers to the ability of a fill material to support the loadings imposed upon it over the life of the facility without undue settlement, volume change, or structural damage. Bearing capacity can be determined by laboratory testing and by field load tests. Permeability - permeability or hydraulic conductivity refers to the ability of a soil (or an oversize material) to transmit water through the pore structure of the fill material at a given rate. This property is indicative of the ability of a compacted fill material to provide drainage for excessive moisture. Corrosion Resistance - corrosion is a basic chemical or electro-chemical property of a material that can induce damage to concrete structures, steel piles, or metal appurtenances with which the embankment or fill material may come in contact. Table 9 provides a list of the standard test methods usually used to assess the suitability of conventional earthen fill materials for use in embankment or fill construction. Table 9. Embankment or fill material test procedures. Nichols, Herbert L. Moving the Earth. McGraw-Hill Publishing Company, New York, New York, 1976. U.S. Bureau of Reclamation. Earth Manual. Washington, DC, 1991.